Photo credit: FUKUOKA JISHO CO.,LTD. 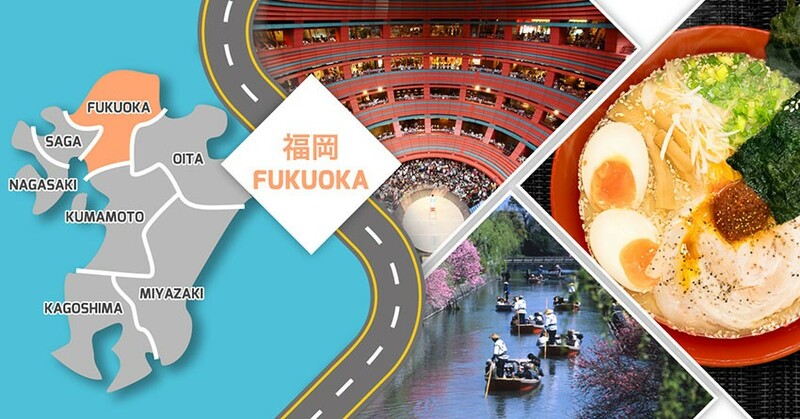 Have you ever heard of Fukuoka? Not only is it Japan’s sixth largest city and the major business centre of Kyushu, it is also blessed with the natural beauty of mountains and ocean. From 1 March 2019, AirAsia X will operate four flights per week from Kuala Lumpur to Fukuoka! 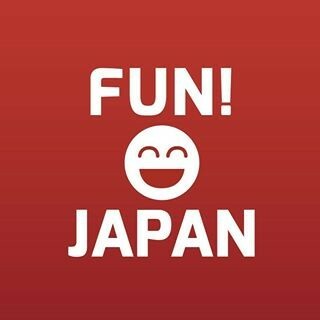 So, this time, we’d like to introduce the best spots in Fukuoka for shopping, food and sightseeing. Hakata Station, the busiest in Kyushu, provides connections to many places in Kyushu and destinations on Honshu island (Hiroshima, Okayama, Kobe, Osaka, etc) by Shinkansen, making it the ideal transport portal to Kyushu. 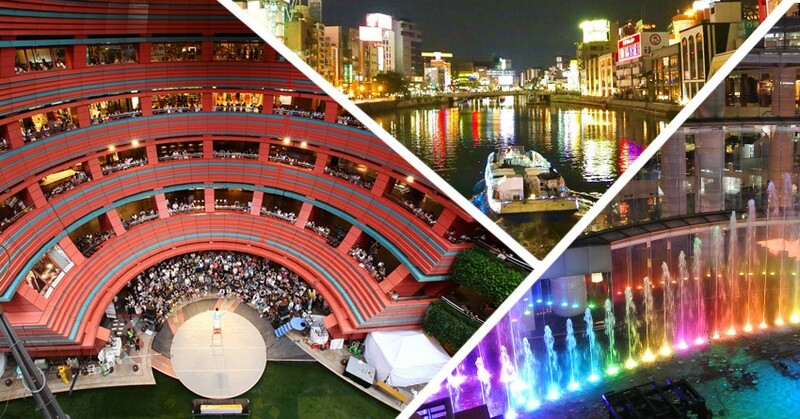 In addition, the JR Hakata City complex is a place where you can ‘shop, eat and play’ in one building. There are plenty of souvenir shop in the area to browse and buy souvenirs to take home that are only available in Fukuoka. The shopping mall called Canal City Hakata is popular among foreign tourists. There’s a tax-free LAOX shop, famous for its great variety of home appliances, amusement facilities, two hotels (Grand Hyatt Fukuoka and Canal City Fukuoka Washington Hotel), and more. MUJI, STUSSY, UNIQLO, Onitsuka Tiger and other Japanese brands popular in Malaysia, are all available there. You can also take a cruise along the Nakagawa River which flows south. 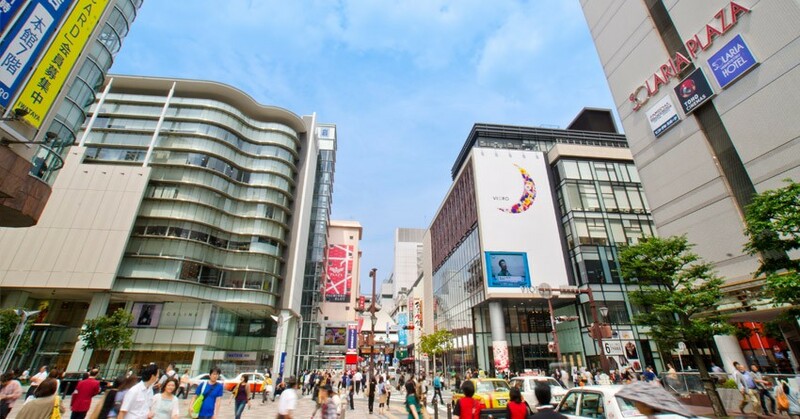 Why not enjoy shopping and delicious meals in Tenjin, one of the most famous shopping districts in Kyushu? At the Tenjin Underground City, there are approximately 150 shops selling fashion, miscellaneous goods, food, as well as cafes stretching for about 600 meters from Tenjin Subway Station to the Tenjin Minami Station. Tenjin Underground City runs under Watanabe-dori, so it’s a good idea to shop first, then return street level to explore. Tonkotsu ramen is a type of ramen with broth made from pig bones that originated in Fukuoka. 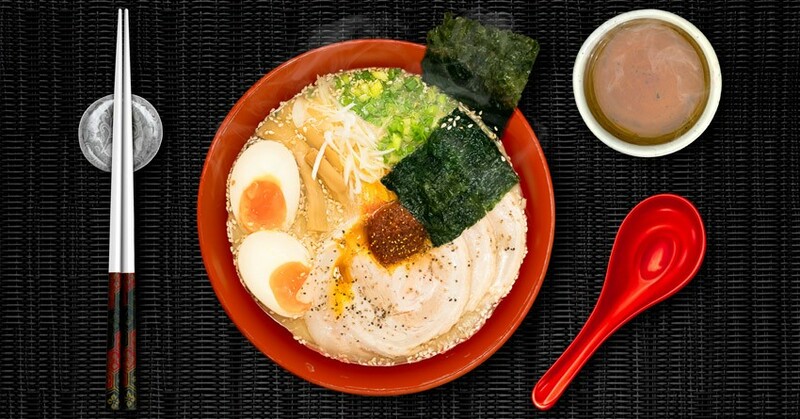 The world-famous Ichiran Ramen restaurant announced that they will be releasing a "100% tonkotsu-free ramen" at some stores, noodles with pork-free broth in Spring 2019 — good news for those who can only eat halal food. Tenjin and Hakata are highly competitive areas for Ramen restaurants, in other words, a ramen battlefield. The ramen is generally white, extremely thin and straight. Because the noodles are thin, they’re easy to eat, so challenge yourselves by ordering extras called ‘kaedama’. The thickness and taste of the broth and toppings varies depending on the restaurant. Discover your own favorite shop! Motsu Nabe… Hot Pot Cuisine That the Locals LOVE! 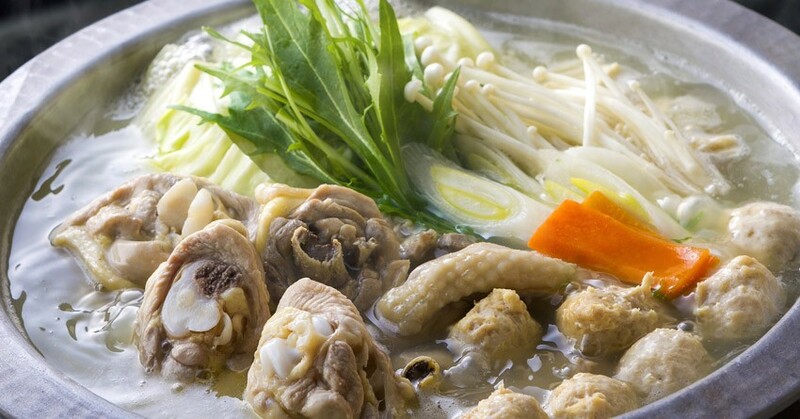 Motsu nabe is a hot pot with cow’s or pig’s Motsu tripe or offal, plus vegetables such as cabbage and leek, red pepper, garlic, and more cooked in a miso or a soy sauce-based soup. The bouncy offal meat is the best. Besides that, seasonings such as red pepper and garlic are also effective, highly recommended when you want to vitalize your body. 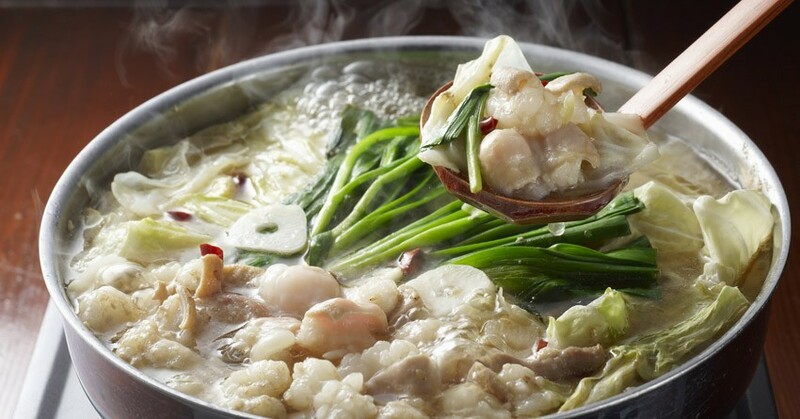 Unlike other hot pot dishes, motsu nabe is often eaten in summer as well as winter. It is common to boil chunks of chicken with their bones, Japanese mustard greens (mizuna), carrots, shiitake mushrooms and then eat them after dipping in ponzu sauce. Similar to motsu nabe, it’s Fukuoka's specialty dish, so there are many shops serving mizutaki. The collagen-rich chicken broth is great to drink on its own! So why not taste the soup first before adding the ingredients. The best time to see the blooms is during late April to early May, but it can get very overcrowded, so be prepared! 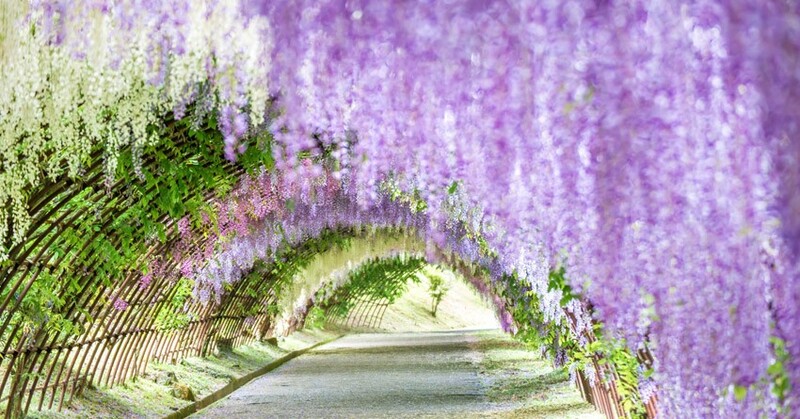 The most popular attraction is the "Tunnel of Wisteria" right after entering the garden. There are two tunnels, 80m and 110m in length, and the both of them are superb. Kawachi Fuji-en became hugely popular in 2012 after it was introduced on a website as the most beautiful tunnel in the world, and in 2015, it was listed as one of CNN’s 31 most beautiful places in Japan. You have to buy tickets in advance which can be done at convenience stores for 500 yen. You will get an admission ticket with a designated date and time, and then you pay the balance of the fee, if any (0 ~ 1000 yen) at the time of entry. ※ Ticket prices change depending on the flowering situation. Yanagawa is about 50 minutes by train from Tenjin on the Nishitetsu Line. It’s steeped in history and dotted with Edo-era whitewashed buildings and villas of feudal lords along its many canals. It flourished as a castle town and is a famous spot for punting cruises. The boats operate all year round, but in winter, from December to February, you can ride a “kotatsubune”, which has a traditional kotatsu heater on board. Dazaifu Tenmangu Shrine which is about 30 minutes from Tenjin by Nishitetsu Electric Railway, is a hugely popular sightseeing spot. Tendan-Tenjin, the deity it enshrines is the Shinto god of literature and calligraphy. The street which leads to the Dazaifu Tenmangu Shrine is lined with rows of souvenir stores and restaurants. It features a Starbucks, with a stunning modern take on traditional woodwork, designed by Kengo Kuma who worked on the design of the new National Stadium, the main venue for the 2020 Tokyo Olympic and Paralympic Games. The stadium is also renowned for its distinctive design using traditional wood structure. Dazaifu’s trademark sweet is "Umegae mochi." Try these freshly made mochi filled with red bean paste and eat them with matcha green tea for the best combination. Which are you most interested in? Is it shopping, eating or the tourist’s spots? Share your favourite spot with us!